It is here again, creeping close, one week from today … the 26th anniversary of Michaela’s kidnapping. If you want to know what I really want to do that day, it is this: I want to go to the place where she was kidnapped, lie down on the ground, close my eyes tight, curl up into a ball, and just stay there, mute, sinking into the darkness and the sorrow. I am feeling absolutely weary with the weight of the years and the grief, and even the hope. I have no words. I have little to offer. But I will, once more, muster what strength is needed, and instead of lying down in a parking lot, we will go as in years past to what is now Mexico Super market in Hayward, and tie fresh yellow ribbons on the tree which grows next to the the parking space where my daughter was stolen away from us. 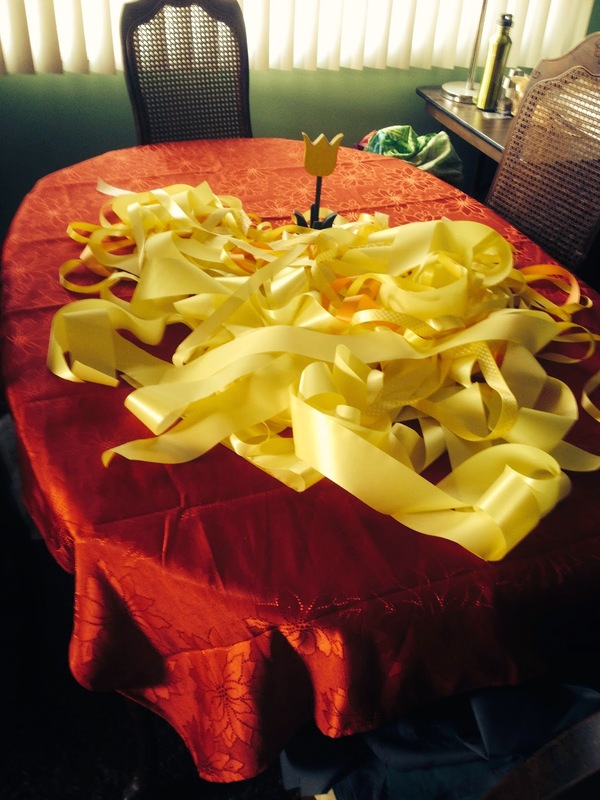 If you would like to come, you are welcome to, and we will give you a yellow ribbon to tie on the tree with us. It is a very small event, but all year long, and for years to come, the yellow ribbons stay on that tree, the old with the new, the faded with the fresh, symbolizing the length and renewing of our love and hope for Michaela. We do this every year on November 19th, at 10:15 a.m., which is the time Michaela was kidnapped. Tuesday evenings is the time of the regular prayer meeting at my church, The Fountain Church in Pleasanton, and we will be praying for Michaela this next Tuesday evening at 7:00 p.m. This is not an event specifically about Michaela, but if you would like to join us in prayer, you are welcome. The address is 4439 Stoneridge Drive, Pleasanton. It is in a little office park, in the first driveway to the right on Stoneridge after you turn off Santa Rita Road, and then around to the right, perhaps a little challenging to find in the dark if you have never been there before. If you are not in this area, I ask just that you remember Michaela. Take a moment to think about her and to pray for her. Tie a yellow ribbon to a tree, a door, a telephone poll, as a symbol of the fact that we are waiting for her still with open arms and open hearts. And to you, Michaela, I love you, I miss you. Remember who you are. Remember that you are strong, that you are incredibly smart. Remember that you have a home, a family, a world that loves you. You can do it, baby girl. I told you once before that if ever you need help to ask God, and he will help you. I don’t know why he hasn’t brought you home before this, but I have not lost faith in his ability to do that, and I hope you haven’t either. God bless you, Michaela. Love you forever.